Susana (Perez) Rodriguez, age 70, passed away surrounded by her family on, Monday November 13, 2017. 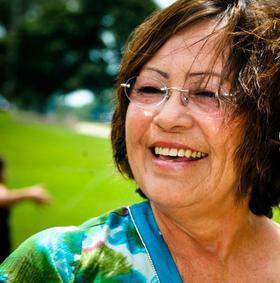 Mrs. Perez was born in Weslaco, Texas on July 16, 1947. When the family decided to call West Michigan home she went to work full time and was employed by Michigan Fruit Canners, Heinz, Prince Corp. and Johnson Controls. She also operated her own child care business taking care of Holland area migrant worker's children. Mrs. Perez was the backbone of her family, she loved unconditionally, listened, advised, and took the time to understand those around her. You could often hear her telling stories about growing up and getting into mischief with her best friend. She loved dancing to Tejano music, traveling to California, Texas, Florida, and Mexico. Her favorite place to visit was South Padre Island, Texas, she had fond childhood memories there. In 2014 she was able to return for one last visit with her best friend and cherished those memories and time spent there. Mrs. Rodriguez was preceded in death by her parents, Consuelo Flores and Nicholas Perez; brother, Nicholas Perez Jr.; sister, Viola Perez. She is survived by her daughters, Susana Sheila (Ron) Driesenga, Veola (Jim) VanSlooten; son, Frank Rodriguez Jr., sisters, Amada Magalena (Juan) Jaramillo, Consuelo Perez, Fela (David) Garces; brothers, Jose Angel Perez, Alberto (Linda) Perez; grandchildren, Crystal, Michelle, Billy, Noel, Scott (Sarah), Dominique, Brielle, Emily, Anthony, Frank Jr., Isabell, Marisol, Isaiah, Ryleigh, Chase, Gracelyn; great-grandchildren, Arian, Jadyn, Natalie, Nathen, Sokayne, Kolten, Cali, Carson, Benjamin, and one on the way. Visitation and wake prayers will be 6-8pm, Monday, November 20, at the Dykstra Funeral Home - Northwood Chapel, 295 Douglas Avenue, Holland. Memorial Contributions can be made to the American Kidney Fund - 11921 Rockville Pike, Suite 300 Rockville, MD 20852.